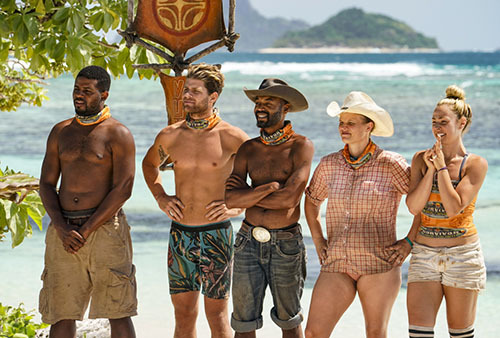 There’s lots to discuss in an episode of Survivor that saw the erosion of several existing alliances and the formation of a few new ones. Yes, the lines between David and Goliath are starting to blur, and that’s good timing for the audience, because that means that anything can happen, just as we find ourselves on the brink of the merge. 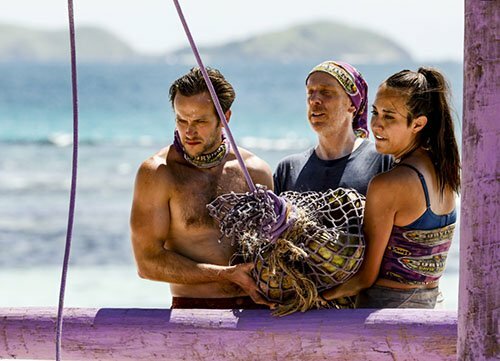 As I do at the beginning of every Recap, please heed the following: Remember that this recap assumes that you have already seen this week’s Episode 6 of Survivor: David vs. Goliath, so if you have not and don’t want to be spoiled, please come back later! It’s important to add too that while we WILL hit on all of the important developments of the episode, this is not a linear “blow-by-blow” recap, and is more of a discussion and reaction of what we just witnessed together. Before we dive into this week’s drama, I had a few more words on the hot topic from last week: Jacket-gate. Look I get it, Natalie was an abrasive personality and wasn’t going to be long for this game. But watching the episode last week, I thought that it was completely tactless that Angelina would ask, and then basically beg, for Natalie’s jacket on her way out of the game. Imagine my surprise then, when the vast majority of comments from viewers and readers seemed to side with Angelina somehow! Some mentioned that is was as if Natalie showed her “true self” by not giving her jacket to Angelina, this poor, shivering soul. But I was appalled by Angelina in that moment! 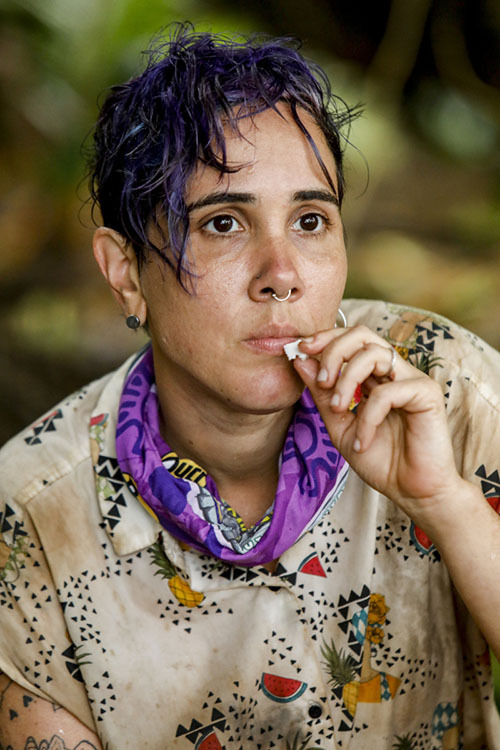 Think what you will of Natalie, but if that were me, there is no way in hell I’m giving anything to any individual who just might have voted me out of the game. 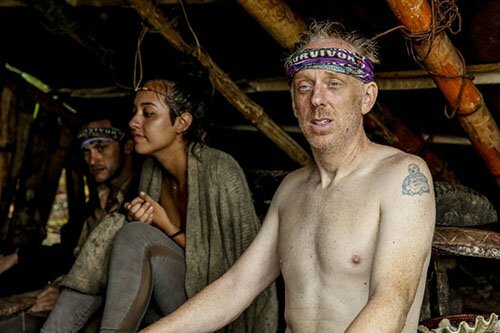 Well I was glad to find out that many of my feelings from last week were validated when I saw the reaction of the rest of the tribe at the start of tonight’s new episode. First off, it was confirmed that Angelina‘s vote for Lyrsa was all a selfish ruse for Angelina to try to score Natalie‘s jacket. It was then confirmed that my instincts were right: All three of the others, Mike, Lyrsa and Nick, found Angelina’s actions to be more revealing of Angelina’s personality, not Natalie’s. Angelina was exposed in that “Jacket-gate” moment at Tribal as being a very cunning and – here’s that word again – selfish player. Now don’t get me wrong, I equally think that Angelina is an interesting “character” and personality this season, and she definitely adds to the mix. But over these last two eps and into next week’s preview, she has quickly become a break-out villain. Like, don’t you DARE go after Christian next week! 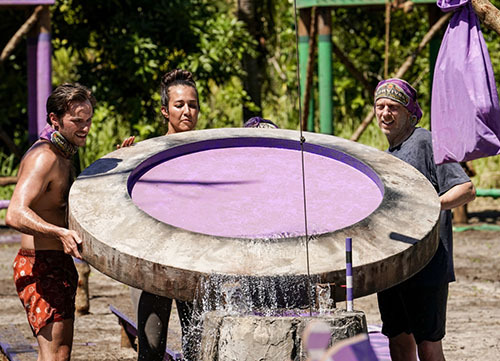 It was fitting that the drama this week ended right where it began: Back at the Purple tribe. Lyrsa was a strong personality, even if she had the reputation as being the “weak link” when it came to physical challenges, but it was ultimately in Mike‘s best interest to get rid of her over Angelina. His assessment and awareness of how a move against Angelina might appear to the rest of the Goliaths in the game was spot-on. If he were to have taken out Natalie and Angelina – both Goliaths – and become the last Goliath left on his tribe heading into the merge, he would clearly not have been able to convince his former allies that he was “Goliath strong.” Further, with the tribes evenly divided before this vote at 7-7, he would not only have undercut his own alliance, but he’d be putting the enemy in the majority. Voting out Angelina would have just been too gutsy, too crazy a move, especially if you consider that he already has a close David ally, fellow “rockstar” Nick, working with him on the down-low. So if you look at it this way, he has managed to save face with the Goliaths, keep his original tribe in a 7-6 majority AND he has earned some trust with both Angelina and Nick. I say well played. Lyrsa, it appeared, had a chance to flip on Nick, but as she stated, that’s just not the kind of player or person she is. I found that scene (where Angelina and Mike approach her) to be a bit of clever editing, because I really doubt that they were planning to vote out Nick, regardless of what Lyrsa would have them. With the Nick/Mike alliance and Angelina having had made several comments about Lyrsa prior to tonight, I feel like it was more of a done deal than the episode led on. As for the rest of the episode, we got to see several other seeds get planted of things to come. Gabby, who had been shown as feeling pretty vulnerable and on the outside of her current tribe, found the courage to approach Alison to align with her, and it seemed to work. It exposed that Alison is secretly targeting Dan, whom she sees as being one of the biggest threats in the game (she’s not wrong). But the Goliaths aren’t the only ones cracking. We also witnessed the whole bamboo incident that led to an argument between Elizabeth and Davie, and Elizabeth and Carl. And last but not least, we got a nice segment with Christian, who is feeling great about himself as a person and in the game. As one of the “brochachos,” he is sitting pretty, despite us finding out that he might be one of the first post-merge targets. But man I loved his line tonight, when wearing the flippers for the first time, he said: “Every step was a blow to my general self-worth.” Just the way this dude talks cracks me up, and for me, he has already emerged as the “All-Star” of this season…he can cement his legacy with a decent run towards the million, which will be incredibly hard for him to do given that he’s already a target, but he’s definitely a guy that will have legions of fans rooting on his every move in the game. So what should we expect heading into next week? Historically initial tribal lines do tend to hold up – for the most part – when it comes to the first merge vote…meaning that we won’t usually see drastic variations in the vote, but a few people here and there might decide to swing. Most want to wait until later in the game, but the fact that we are at 7-6 is super-exciting…that really means that it could just come down to one or two players deciding for themselves that they want to shake up the game. Not to mention that next week will put all three Idols into play, as well as Carl‘s “Idol Nullifyer,” making things anything but predictable. Yes, most of the time the merge episode is one of the best episodes of the season, and I have a feeling based on this strong pre-merge that we are in for a lot more fireworks in the near future. 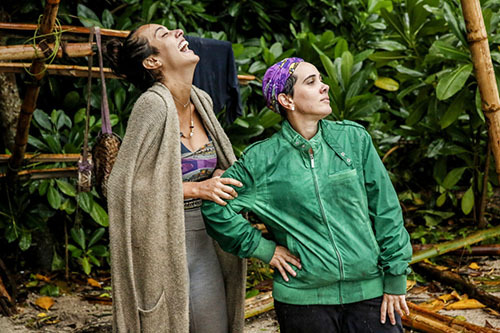 Episode Take-Away: Angelina managed to survive the fall-out from Jacket-gate, despite coming across as a completely selfish player that is playing the game too hard. She has entered “villain” status heading into next week’s merge, in a season where there aren’t many. I loved some of the trauma that Mike went through tonight, going back-and-forth and trying to figure out what was best for his game. Lyrsa could never quite get her footing in the game, and was always seen as being weak, even though she’s clearly a strong person. But her leaving the game at this juncture really was the right move for Mike, and it’ll be interesting to see just what repercussions come from this “safe” move. Next Week’s Episode: It has been confirmed: The merge is upon us as of next week! We are down to just 13 players, and it looks like the Goliaths – now holding the 7-6 majority – might have found their first David target in Christian. But while Angelina seems all about gunning for one of the brochachos, elsewhere we see Alec appearing to clearly NOT be on-board. Should be interesting! Quick Note! I appreciate that you are reading this Recap! But all season long, remember to return right here to Reality Tea for my FilmSurvivor Podcast on Thursday, where you can listen to my full exit interview with the eliminated contestant. This week I will be chatting exclusively with Lyrsa Torres. Those that have followed me also know that I am a RottenTomatoes-approved film critic, and I encourage you to check out my weekly movie reviews (like “Bohemian Rhapsody,” and “Can You Ever Forgive Me?” this week) as I am also the national film critic for AXS.com and am a movie critic/TV personality in the Detroit area. As always, the easiest way to get all of my Survivor coverage and movie reviews is to follow me on Twitter – @tomsantilli – or on Facebook. TELL US – WHAT DID YOU THINK OF TONIGHT’S EPISODE? WHO DO YOU THINK IS IN THE BEST POSITION HEADING INTO THE MERGE? AND DID MIKE MAKE THE RIGHT MOVE? Married at First Sight: Honeymoon Island Recap: Jocelyn Returns!